Years ago I used Crest Whitestrips for a few days but the sensitivity got so bad that I stopped. That’s why I got really excited when I was browsing through the store and saw that there was a “Gentle Routine” version. The whitening without the sensitivity? I decided to try it out. You are supposed to use the strips once a day for 5 minutes. I usually ended up having them on for about 10 and would use them every night before I brushed my teeth. It took me a few tries to get used to putting the strips on correctly. They were very flimsy and often ended up bunched up on my teeth which was really annoying. The big positive was that I definitely didn’t notice sensitivity like I did with the regular Whitestrips…but I think that mostly has to do with the fact that they were on for such a short amount of time. Overall, I wasn’t thrilled with my results. There was a small change in the shade of my teeth but nothing that I thought was extremely noticeable or worth the money. 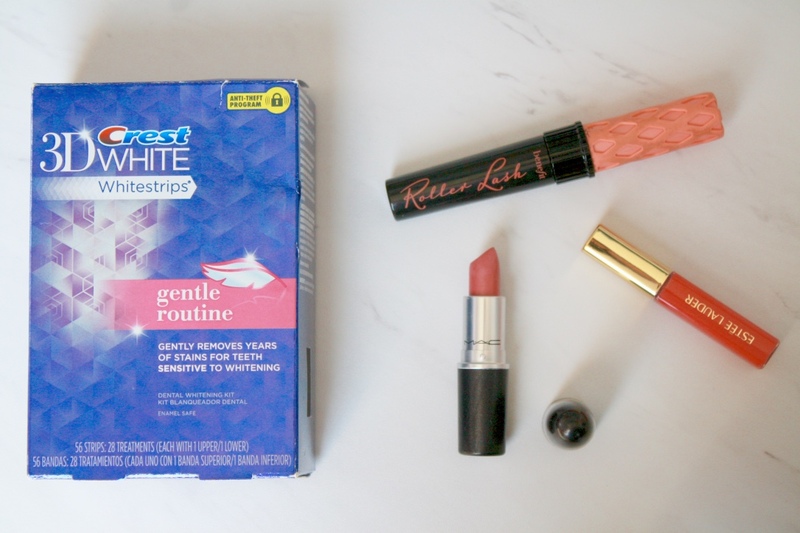 I think if I had used one more box it probably would have gotten my teeth to my desired whiteness but my expectation was that I would just need to use one box. I heard that normal Whitestrips have much better results. 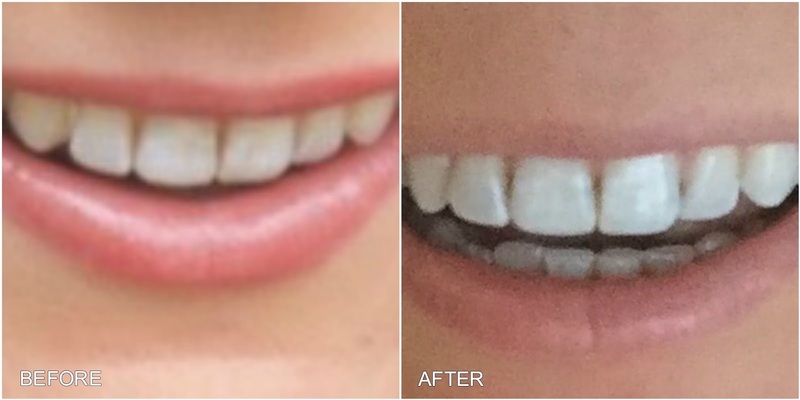 I have since gone to the dentist and gotten a take-home whitening gel with a custom tray that I use a few times a week. My dentist also recommended that I use Sensodyne Toothpaste while whitening to help with the sensitivity and I can tell that there is a huge difference! When I first started using the trays my teeth would be sensitive the entire next day to the point where it was sometimes difficult to speak but now I hardly ever feel any extreme sensitivity from it. If you’re thinking about trying out Crest Whitestrips or any other kind of whitening treatment and suffer with sensitivity then I highly recommend you try Sensodyne out!